More Referrals, More Rewards ! Referral link can be found by clicking on “Referrals” on the left hand menu under “Settings” (your account username tab). 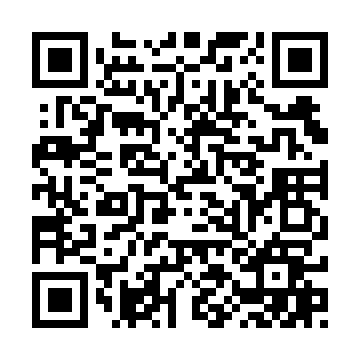 Click LINE, Facebook, Twitter or Email to share. The top 5 referrers must have at least 200 referrals individually. Once the rank of the top 5 referrers is announced, we will individually notify winners about MAX Token prize. Thank you for participating in the Referral Program. After reviewing the registered user profile, we found that some participants used fake information in this campaign. To ensure fairness, we decided to cancel those referrers' qualification. If other cases are found, the referrers' eligibility will be deleted. Reward 3 - Rewards are all redeemed, program is over. 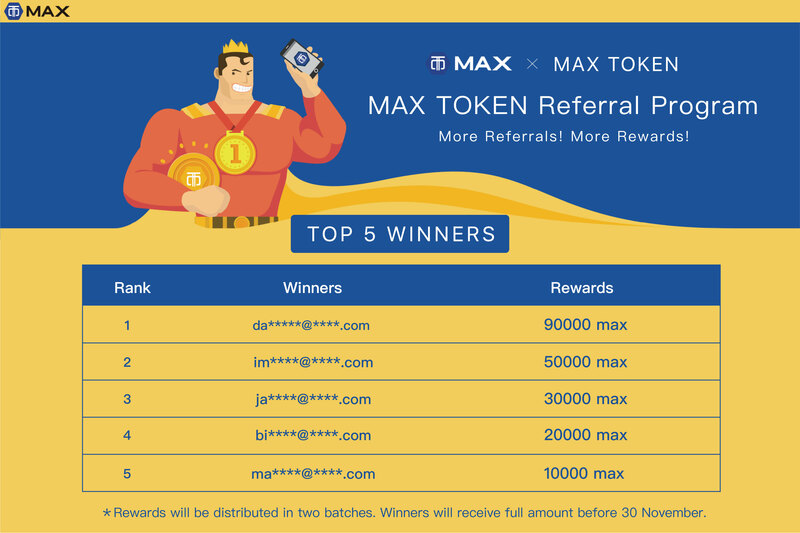 Existing MAX users will be rewarded with 30 MAX Tokens for referrals qualified in accordance with campaign requirements. Those being referred will be rewarded with 15 MAX Tokens. Total Reward Distribution: 180,000 MAX tokens have been allocated. This program will terminate once fully distributed. Referrals accumulated will count towards Reward 2 for a chance to one a portion of the 200,000 bonus rewards. Reward 1 - Rewards are all redeemed, program is over. Minimum Referral Qualification: Email activated and registered on MAX along with registered phone number. Referral link can be found at “Referrals” under “Settings” (your account username tab), and click LINE, Facebook, Twitter or Email to share. 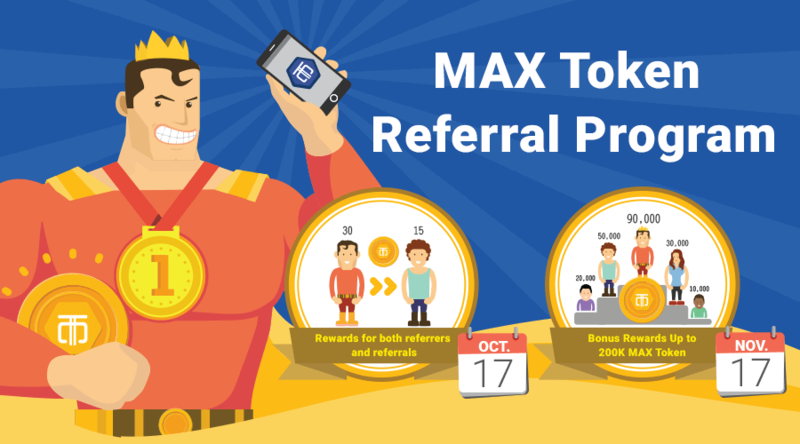 MAX users can check the number of successful referrals (valid starting 10/17). The reward of 30 MAX will be settled once it’s confirmed. You will be notified via SMS and email. Please go to “History” > “Internal Transfer History” for details. Total Reward: 90K MAX. This reward program is closed once all rewards (90K MAX) are redeemed.